MBOSE HSSLC Result 2019: Meghalaya Board HSSLC result will be released in the online mode on the official website of MBOSE. The Meghalaya Board of School Education (MBOSE) which is the exam conducting authority will be releasing the results of all candidates who have taken Meghalaya Board SSLC and HSSLC examination. The results for those who have taken the examination will be declared in the online mode on the official website of MBOSE i.e. http://results.mbose.in/. The results will be declared for science, arts and commerce streams. Candidates will be able to check the results in the 1st and 4th week of May 2019. Students who have appeared for class 12th examination in the month of March will be able to view their results from the link provided here. The MBOSE is the state level board that manages all the exam related events of SSLC and HSLC exam. This board will also release the results on the official website in the month of May 2019. The MBOSE HSSLC result 2019 will be declared first for science and commerce stream and later for arts stream. The results will be displayed in the 1st week of May 2019. 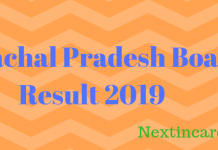 Candidates can check the MBOSE Class 12th Result 2019 using the links which are provided below. The Results of the HSSLC Examination, 2019 (Science, Commerce & Vocational) Streams conducted by the Meghalaya Board of School Education, Tura will be released in the month of May. How to check the MBOSE HSSLC Result 2019 online? Visit the official website of MBOSE i.e. http://results.mbose.in/. Choose the link of the stream of which you want to check the result. Enter the roll number as given on the admit card. The result for Meghalaya class 12th will be displayed on the screen. Check and download the same. Take multiple print outs of the Result. HSSLC stands for Higher Secondary School Leaving Certificate Examination. The HSSLC result will hold a lot of importance for the candidate as with the score obtained by the candidate in class 12th students will be able to apply for university courses for undergraduate course. The scores will be important, therefore candidates must prepare well for the exam. The Meghalaya Board results will be released on separate dates for arts and Science with commerce. Candidates must keep checking the official website of MBOSE. The updates will be provided here aslo. 3 How to check the MBOSE HSSLC Result 2019 online?